Tony Campolo is Professor of Sociology and Special Assistant to the President at Eastern University in St. Davids, Pennsylvania. He previously served for ten years on the faculty of the University of Pennsylvania. He is a graduate of Eastern College and earned a Ph.D. from Temple University. 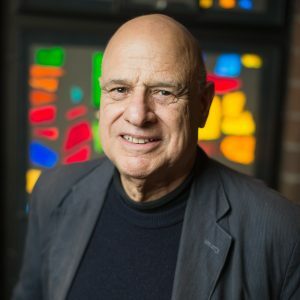 As founder and president of the former Evangelical Association for the Promotion of Education (EAPE), Dr. Campolo has worked to create, nurture and support programs for “at-risk” children in cities across North America, and has helped establish schools and universities in several developing countries. Dr. Campolo blogs regularly at this site, and also is a media commentator on religious, social and political matters, having guested on television programs including The Colbert Report, Nightline, Crossfire, The Charlie Rose Show, CNN News and MSNBC News. He co – hosted his own television series, Hashing It Out, on the Odyssey Network and , presently hosts Across The Pond, a weekly program on the Premier Christian Radio Network in England. Dr. Campolo has authored 39 books, with his latest release in October 2012, Red Letter Revolution (Thomas Nelson), with co – author Shane Claiborne. He and his wife, Peggy, live in the Philadelphia area and have two grown children and four grandchildren. Keep up with Tony, or book him for an event, at www.tonycampolo.org. 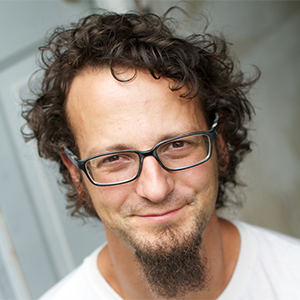 Shane Claiborne graduated from Eastern University and did graduate work at Princeton Seminary. In 2010, he received an Honorary Doctorate from Eastern. His adventures have taken him from the streets of Calcutta where he worked with Mother Teresa to the wealthy suburbs of Chicago where he served at the influential mega-church Willow Creek. As a peacemaker, his journeys have taken him to some of the most troubled regions of the world – from Rwanda to the West Bank – and he’s been on peace delegations in Afghanistan and Iraq. Shane heads up Red Letter Christians, a movement of Christians committed to living out the lifestyle prescribed in the Gospels. Shane is also the visionary founder of The Simple Way, an organization in inner city Philadelphia that has helped birth and connect radical faith communities around the world. He is married to Katie Jo, a North Carolina girl who also fell in love with the city (and with Shane). They were wed in St. Edwards church, the formerly abandoned cathedral into which homeless families relocated in 1995, launching the beginning of The Simple Way community and a new phase of faith-based justice making. Shane writes and travels extensively speaking about peacemaking, social justice, and Jesus. Shane’s books include Jesus for President, Red Letter Revolution, Common Prayer, Follow me to Freedom, Jesus, Bombs and Ice Cream, Becoming the Answer to Our Prayers – and his classic The Irresistible Revolution. Shane’s newest book is Executing Grace (June 2016). Shane has been featured in a number of films, including Another World Is Possible and The Ordinary Radicals. His books are translated into more than a dozen languages. Shane speaks over 100 times a year, nationally and internationally. His work has been published in Esquire Magazine, SPIN, Christianity Today, and The Wall Street Journal. He has appeared on Fox News, Al Jazeera, CNN, and NPR. Keep up with Shane, or book him for an event, at www.shaneclaiborne.com.